The non-partisan Center for Public Integrity conducted an investigation of projects receiving Federal stimulus funds and found that Washington intentionally ignored environmental damage when granting money to several projects. Among the recipients singled out by the Center's investigation is BrightSource Energy's Ivanpah Solar Energy Generation System, which received a stimulus-backed loan guarantee in the amount of $1.37 billion. 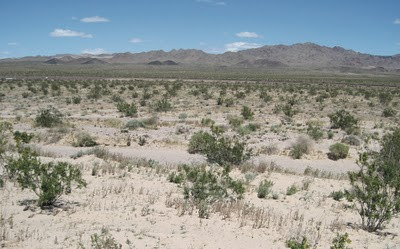 The project will be built on 5.6 square miles of prime desert tortoise habitat in the northeastern Mojave Desert. According to documents, the Obama administration has unequivocally concluded that one of the Energy Department’s biggest stimulus outlays — a $1.37 billion loan guarantee for the massive Ivanpah solar power installation to be built on federal lands in California’s Mojave Desert — will negatively affect the environment. By April 2010, the solar rush in California staked claim to dozens of square miles of pristine desert, and the Bureau of Land Management (BLM) and California Energy Commission (CEC) were on the verge of granting approvals despite concerns about how these projects would transform wilderness into an industrial zone. The BLM and CEC were accelerating the approval process to the detriment of public involvement, in a hurry to make good on promises by State and Federal leaders that our public land would be used to generate renewable energy was mounting. Will the Sierra Club Step up to the Plate? According to Reuters, the Sierra Club claims it is still considering whether or not to challenge Tessera Solar LLC's proposed Calico Solar power project. If built, the project would destroy 7.2 square miles of pristine desert that is home to at least 18 desert tortoises and impact surrounding habitat where dozens more tortoises have been observed. The site is also home to rare plants, Western burrowing owls, and Mojave fringe-toed lizard, and would block a wildlife corridor for bighorn sheep. Although the Sierra Club has been involved in the permit process for several destructive solar power projects, the Club has not yet taken legal action to block them. The Sierra Club positions itself as a leader in renewable energy, but the group is only now considering taking legal action to steer energy companies in the right direction. 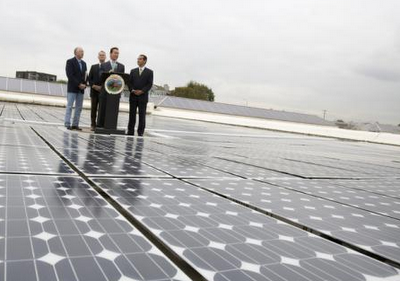 There is plenty of room for solar panels on disturbed land and rooftops -- leave our deserts for future generations. The California Energy Commission (CEC) provided preliminary approval for a solar power project that will consume almost 8 square miles of mostly public land near the Palen Area of Critical Environmental Concern (ACEC) and that would disturb part of the designated Chuckwalla Critical Habitat Unit for the desert tortoise. 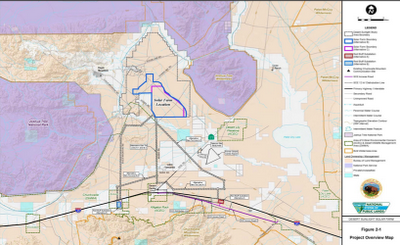 The Palen Solar power project is being proposed by Chevron and a subsidiary it created, Solar Millennium LLC. BLM Underestimating Impacts on Desert Tortoise? The Bureau of Land Management (BLM) is estimating that only 12 desert tortoises will be affected by the construction of the proposed Desert Sunlight Solar power project. However, biologists have found at least 22 active desert tortoise burrows, suggesting the number of tortoises could be much higher than the BLM report acknowledges. The project is proposed by First Solar and would consume 6.8 square miles of public land adjacent to Joshua Tree National Park. Why does this matter? The BLM tortoise population estimates are considered by the Department of the Interior and Department of Energy when trying to assess the overall impact of a proposed energy project. The lower the number, the easier it is for big energy companies to build their projects on public land, and receive taxpayer-backed loans and grants. It's almost 2011, do you know where your new calendar is? Check out a calendar put together by Chris Clarke at Coyote Crossing. The Desert Skies calendar includes photography of beautiful desert vistas, and you can preview the photos at his site. Citizens supporting the Quechan Tribe's lawsuit against the Imperial Valley Solar power project are planning to hold a peaceful and educational protest against the project today and tomorrow (14 and 15 November). 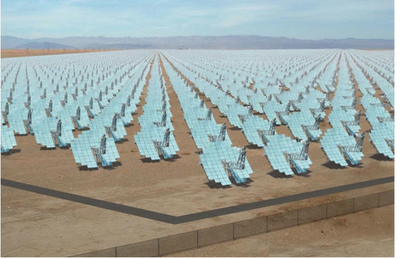 The Imperial Valley Solar project will be built by Tessera Solar LLC on public land that contains many artifacts and sites of cultural significance to the Quechan Tribe. The Tribe is suing the Department of the Interior for approving the project as part of the "fast track" process for solar energy projects because the Department failed to conduct a thorough review of the cultural significance of the site, and ignored Quechan Tribe requests for such a survey. You can read more on a previous post on the Imperial project. Workers at BrightSource Energy's 5.6 square mile solar energy site in the Ivanpah Valley have now found approximately 40 desert tortoises in the paths of bulldozers, and the project is only in initial stages of construction. The US Fish and Wildlife Service only expected to find 32 tortoises on the entire site, showing that the biological assessment of the Ivanpah Solar site underestimated its ecological value. 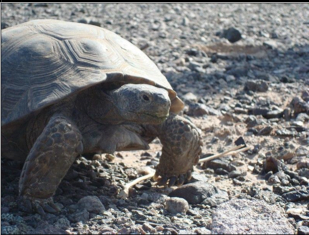 Some biologists are now concerned that the population of tortoises in the Ivanpah Valley--which represents a "genetically significant unit"--is at risk of a serious population decline as a result of solar energy projects. The Sierra Club informed the California Energy Commission's (CEC) that it should not approve the Calico Solar power project given concerns about the impact on desert tortoises on the 7 square mile site. The Sierra Club objected to the rushed nature of the approval process that did not include adequate opportunities for public input, especially when the revised layout was decided between the CEC and Tessera Solar LLC. According to comments submitted to the CEC and stated during a 22 October evidentiary hearing, the Sierra Club pointed to the unfinished nature of the desert tortoise translocation plan, which the CEC considered sufficient mitigation despite concerns that receptor sites for relocated tortoises would not be adequate. Also, the fact that construction at the Calico Solar site will begin beyond late October could reduce the ability of biologists to find and relocate tortoises since the tortoises likely will be hibernating.